Just in time for summer! 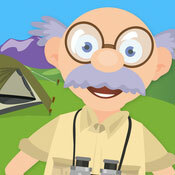 The Camping with Grandpa app takes kids on a fun-filled hiking and camping adventure. Grandpa is a patient, fun loving character and a teacher at heart. This app is loaded with hiking and camping skills and tips that kids discover along the trails. The activities teach everything from hiking gear to roasting marshmallows. Earn patches for your vest by identifying birds, flowers, and animal tracks. Some of the interactive games are covered in the videos below. The camping trip comes complete with videos on camping and safety tips to watch in the tent. Though the app is designed for ages 6-8, parents can adjust the activities to their kid’s level in the settings tab – upper left screen. Fairlady Media has a strong reputation for teaching life skills in their apps. This app is a great addition to your kid’s toolbox for life! Watch a Video & Play a Word Game! Connie and I both love to camp and travel with our family and wanted to share a few of our favorite activities with everyone! We hope you enjoy camping with grandpa as much as we enjoyed making it! Please leave comments letting us know which types of games you’d like to see next for Grandma and/or Grandpa! Fairlady Media is an independent game studio near Raleigh, NC. Fairlady Media has produced more than 30 games for iPhone and iPad with millions of downloads and counting. The company specializes in creating family-friendly and educational mobile games and has partnered with companies such as Sesame Street, Houghton-Mifflin, Callaway Digital Arts, Sanrio, Hearst Corporation, and American Greetings to create the highest-quality products in the market. Fairlady Media was founded in 2009 by husband and wife team James and Connie Bossert. James holds a degree in Computer Science from North Carolina State University. 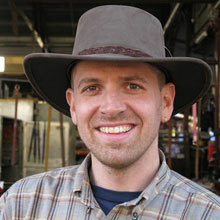 He has more than 15 years experience as a senior instructional technologist at NC state. 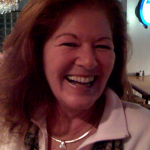 Connie holds a doctoral degree in Educational Psychology from Penn State University. 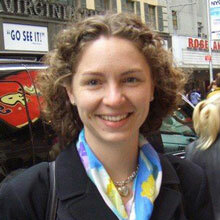 She has worked as a senior instructional designer and professor, teaching courses in adolescent and child development. She is a self-taught graphic designer and illustrator. As parents of two young children, James and Connie apply their experiences with technology-savvy kids to the rapidly changing educational games market.